Jennifer Donnelly’s Revolution begins in present-day Brooklyn: Andi Alpers, a senior at an exclusive private academy, has been deeply depressed since the death of her little brother. The full details of what happened surface slowly over the course of the novel, but we can tell from the beginning that Truman died when he was supposed to be under Andi’s care, and that she consequently blames herself for his death. Grief has had a profound effect on the Alpers’ family life: Andi’s father left, her mother is barely holding herself together, and Andi’s school work is suffering. The only thing that gets her through the day is the thought of playing her guitar. When Andi’s father realises how much she’s struggling, her decides to take her to Paris with him for winter break. Her father is a famous geneticist who’s going to Paris to help identify the DNA of a heart that might have belonged to Louis XVII – the “lost king” of France who died as a child during the French Revolution. The trip is also supposed to help Andi work on her senior thesis, about 18th century French composer Amadé Malherbeau and his influence on contemporary pop music. Andi ends up discovering the diary of Alexandrine Paradis, a young actress who lived during the French Revolution and whose life has more parallels with Andi’s than one would guess at first glance. As Andi keeps reading Alexandrine’s life story and trying to make sense of her own, the past and the present collide in unexpected ways. First of all, I absolutely loved the way Revolution is structured: the novel is divided into sections named after Dante’s Divine Comedy and which parallel Andi’s journey in dealing with her grief. The final section is convoluted and perhaps a bit out of synch with the tone of the rest of the novel, but by then I was too invested in the characters and their struggles to mind too much. Andi’s voice captured me from the start and I kept hoping for the very best for her. One thing I kept wondering about as the novel progressed was how Donnelly was going to handle the relationship between class and the French Revolution. It’s clear from the first chapter that Andi comes from a very privileged world: she goes to an exclusive prep school, she’s intelligent and musically gifted and has these talents nurtured, she’s the daughter of a Nobel Prize-winning geneticist and a painter, she can afford to travel, etc. I mention this not because I think it delegitimises Andi’s story in any way1, but because it inevitably affects how she engages with history. Andi’s life doesn’t exactly resemble the French Royal Family’s before the revolution, but her background is also very different from that of the people who faced daily misery and starvation. Revolution presents Louis XVII very sympathetically, and indeed why would it not? He died when he was only ten years old and suffered horrifically before his death. He was seen as a symbol of a corrupt regime, but – as this novel constantly reminds us – he was also a human being. I love stories that humanise historical figures and that remind us of the huge personal cost of large-scale events, but I also realise there’s always a bit of a risk that they’ll end up individualising social and systemic problems in the process. I’ve been paying a lot of attention to narratives (fictional or otherwise) that do this lately, so an emphasis on the individual at the expense of their social circumstances has become a bit of an alarm bell for me. Revolution walks a fine line, but I think it manages not to fall on the wrong side of it. Donnelly does a decent job of balancing the personal and the political, the psychological and the sociological; of bringing the human side of the Revolution to the foreground without slipping into icky classist sentiments. There are several things that help make sure this doesn’t happen: Virgil, a young hip hop artist Andi meets in France (and a great character in his own right); Alexandrine’s own background; and Andi’s eventual realisation that men like Robespierre don’t exist in a vacuum, that we all play a role in building the sort of world where this kind of thing can happen. Speaking of Virgil, the romance in Revolution is absolutely lovely: one of the best I’ve come across in ages. Andi and Virgil often connect over music, which brings me to another thing I loved about this novel: the frequent musical references. Andi’s taste in music is pretty similar to my own, so it was fun to spot references to songs or musicians that also mean a lot to me. But Andi understands the syntax of music in a way that I absolutely don’t, and it was fascinating to be able peek inside the head of someone who is as knowledgeable as she is and who thinks about music on a theoretical level that is completely alien to me. My least favourite thing about Revolution is that it sometimes wanders into “we need suffering to have art!” territory, which I usually find pretty frustrating; but like in the case of Mortal Love there was too much else that I enjoyed for this to ruin the book for me. Revolution is not quite as accomplished as Donnelly’s A Gathering Light, which I absolutely adored, but it’s still an excellent read. I think about another Max. And another little boy. I remember the future. “Maximilien R. Peters! Incorruptible, ineluctable, and indestructible! It’s time to start the revolution, baby!” he shouted. I remember the other people who lived with him in the Charles. Poor people, damaged people. I think of how I walked past them every day, not seeing them, not caring. Until it was too late. And I think of how these people, Amadé’s friends, amuse themselves all night long with mannered dances and witty conversation, shutting themselves off from the world, while a helpless child slowly dies. 1 Obviously I wish there was more diversity when it comes to the socioeconomic background of YA characters, but being aware of the pattern doesn’t mean I don’t think each individual story is worth telling. This sounds like it is not without faults, but I am curious nonetheless! I admit that as much as this book intrigues me, I'm also intrigued by what you mention about the fine line of humanizing individual history & faults in the system. Very interesting and something I'm sure I'll struggle with in the upcoming PhD. I'll be curious to hear more of your thoughts about it. Iris, it's really a great book, and I think you'd particularly appreciate it as a fellow music and history lover. And yes, I imagine those questions come up a lot for someone who does historical research. 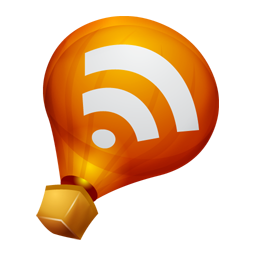 I might do a post with further thoughts at some point if I ever manage to articulate them. Yes, yes, yes, re: "...individualising social and systemic problems in the process." I would have a very hard time trying to come up with recent literature that doesn't do this! Jill, thank you so much for the recs! I've been paying attention to how these are the media narratives that are currently favoured, but it's really interesting to think of how it applies to literature as well. I wish there was more socioeconomic diversity in YA as well. When I read YA, I rarely see my socioeconomic status growing up depicted (working class/blue collar), usually it's upper middle class kids. 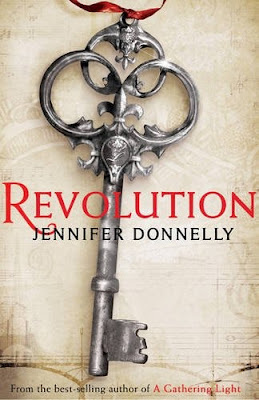 Anyways, I absolutely love Jennifer Donnelly's books and fell in love with Revolution. I also really dug the romance between Andi and Virgil and their connection with music. I'm thinking I may need to audio this in order to re-read it because your review kind of reminds me of all the things I loved about Revolution. Sidebar: I think I may have overused the word love in this comment. It sounds like it gets a little melodramatic at times, but is otherwise an excellent read. I need to check it out! That structure around Dante's Divine Comedy? Right over my head! I had no clue! But I loved this book with every inch of my soul. The audio was FABULOUS. I loved the history, the music, the romance, and Andi's feisty character. I wanted to live in this book. I wanted to meet Virgil. Actually, the Dauphin wouldn't be called Louis XVII because he was never crowned the king of France (unless he was in the book?) but anyway. This does sound like a fascinating book and I've been wanting to read it forever! I'll get to it eventually. I want to read this book, but although I liked A Gathering Light I didn't like it enough to put Revolution high on my list. Your points of discussion here though are making me think again. I wasn't aware that there was a romantic thread in the story, and I wonder how that adds to a plot that already sounds well-rounded. I have this book, but after reading Sandy's comment, I realize that I need to hear this one to really appreciate it. I love stories that are layered and deep, and this one sounds like it would fit the bill perfectly. Very intense and interesting review today, Ana. Nice job! I read this last year... I think... And really liked it. I also really enjoyed A Gathering Light, but I wouldn't say I love her... I have yet to read her adult series. One day! I really loved the blend of music and history in this one. Like you said, the romance with Virgil was another plus. It was so beautifully done! Oh Ana, how did I miss this review? You did a really masterful summary of a rather complicated plot, here. I overall really liked this book - better than A Gathering Light, actually - but the part that I did not like at all was the whole part at the end where she "rescues" her mother from antidepressants. I can't stand that attitude toward psychotropic meds. Also, agree with you 100% about the suffering=art silliness. I did love Andi and Virgil, together and separately.